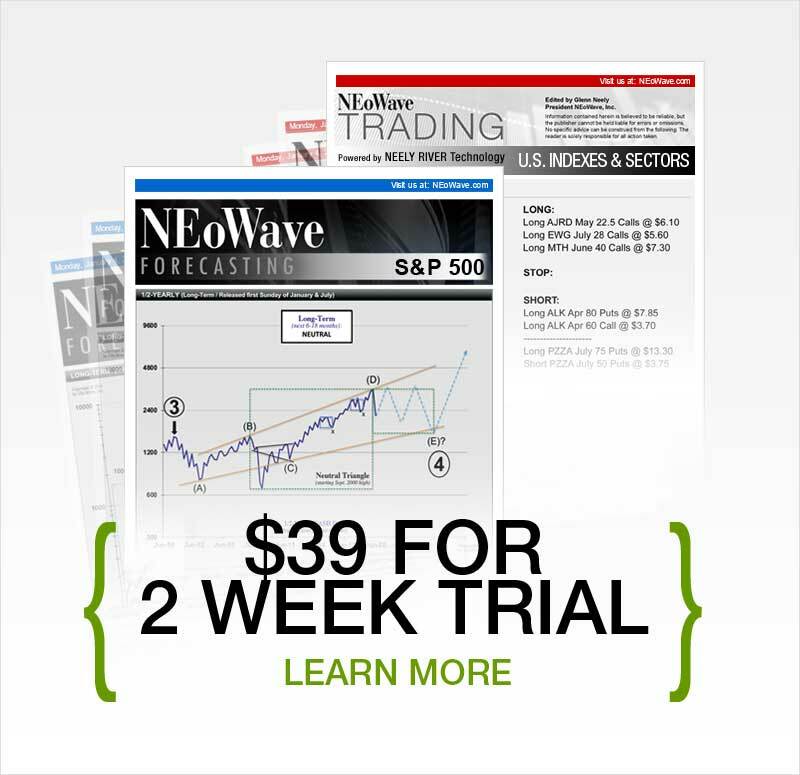 Elliott Wave Trading & Wave Trading | NEoWave, Inc.
No need to spend your time analyzing markets – this service does the work for you. With a focus on effective trades, clear communication and risk control, you'll experience an uncommon level of detail and specificity. No guesswork required! Just read the updates and place your orders. 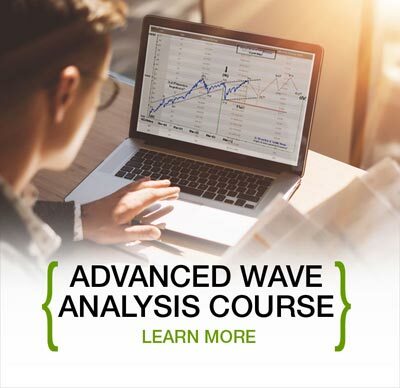 The NEoWave Trading Service is ideal for traders who want expert guidance as well as busy professionals (including money managers and brokers) who don't have time to design their own trading strategies. 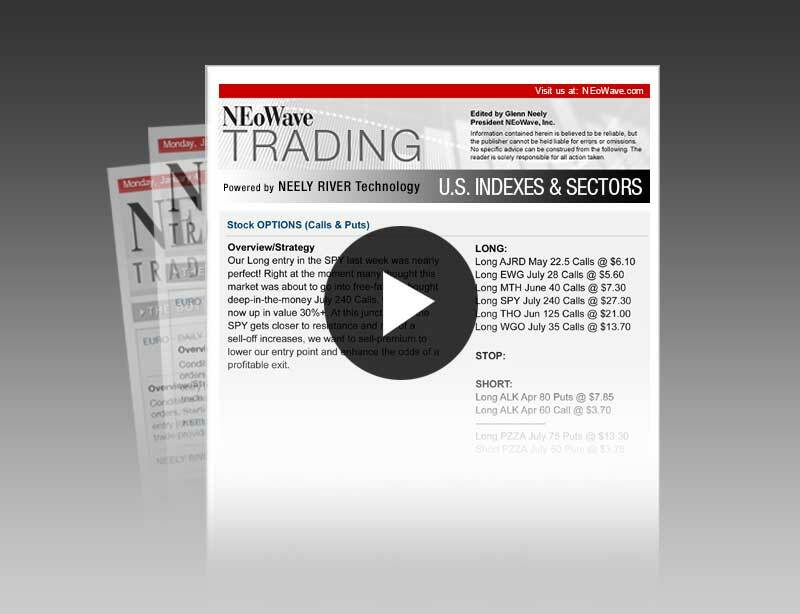 Click "View Sample" to see an actual NEoWave Trading service update. 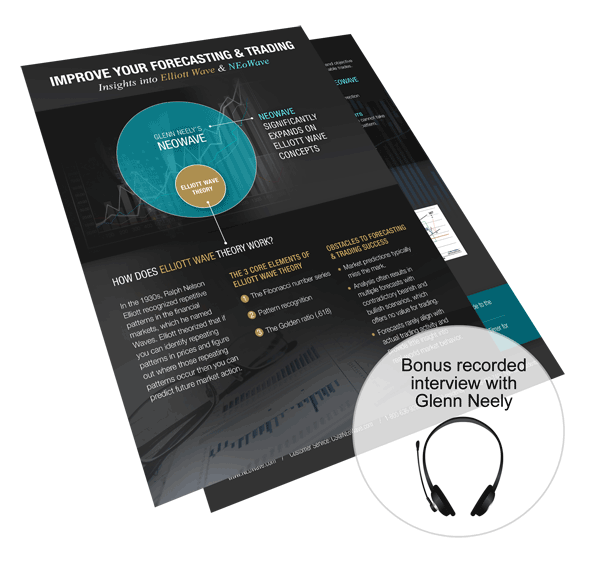 Notice that NEoWave founder Glenn Neely provides precise trading recommendations, based on his revolutionary Neely River Trading Technology. Every trade is followed from beginning to end with exact entry, stop-management, and exit strategies. This level of specificity is nearly unheard of in the financial industry. "I have made a fortune." "You're helping me reach my financial goals." "In just 3 months [since subscribing] I have more than tripled my brokerage account and almost tripled my 401(k)"
"Thank you for providing a high-quality service for your subscribers. Your concise recommendations cut through the noise. That is a big help to anyone who trades for a living." "Thank you so much! I used to get the intra-day trading from [another Elliott Wave company], but the focus was on the technicalities of the wave and not on good entry or exit points, or fib ratios, etc. It's of no use to me as a trader without the translation to market realities. I love the clarity of your updates. Keep up the great work!" "Through your book, Mastering Elliott Wave, and your trading course, you have been my guru. 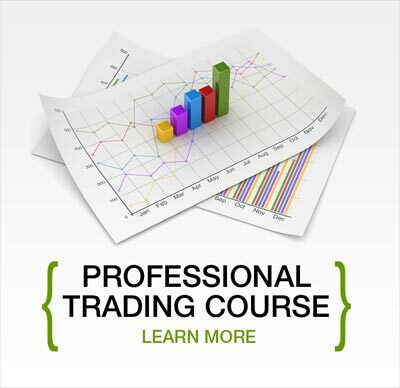 Your trading course is unique and immensely valuable. Your techniques are based on solid reasoning, which enables a trader to be right on the button. My trading success rate has increased dramatically. 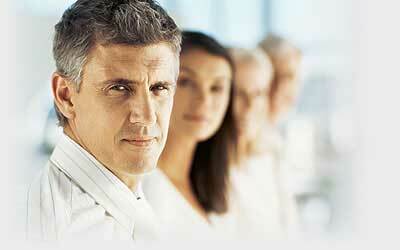 Applying your methodology lets me feel comfortable while in a trade. Right selection of a trade with a timely entry and exit is the key to successful trading. Your course has provided me with this key." 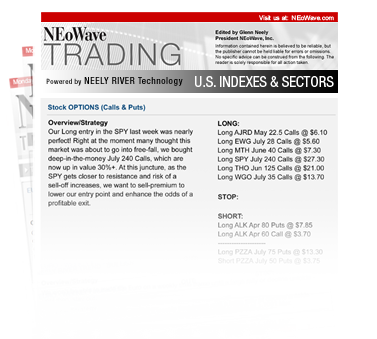 Would you like more information about the NEoWave TRADING Service?